window services at the best prices in Connecticut! Professional, Affordable, Impeccable - Our Promises to You. Since our founding more than a decade ago, we've built a reputation to be proud of. With a focus on the small stuff - whether it's a quick call to update our customer on a project detail, to selecting the perfect components for each job - we are one of the most respected providers of quality roofing, gutter, window and siding services in Connecticut. Our goal is to make the process as easy as possible for our valued customers. This concept is the foundation of our business model: to be a one-stop-shop for all your home's exterior needs. Our talented team has countless experience with all types of roofing projects throughout CT. Expert roofing services include: asphalt shingle roof installation, roof inspection, shingle repair & replacement, sealing, flash repair and replacement. 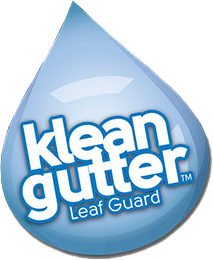 Regular gutter cleanings and gutter maintenance is the best way you can protect your structure for years to come. Here are Save Now Remodeling our gutter services include: gutter system repair, downspout replacement & repair and gutter shield installation. Vinyl siding is a great way to help protect your home against harsh Northeast weather. We specialize in not only installation of siding, but also cleaning, repair and maintenance. We offer a wide range of styles to help you find the perfect solution. Want to increase your home’s energy efficiency? We provide quality window replacement to help homes maximize their energy potential. We offer a wide selection of windows for you to choose from, all designed to improve upon the aesthetic value of your home. We proudly serve all of New London, Middlesex, Windham and New Haven County. This includes east of Interstate 91, South of 84 and all the way to the Rhode Island Border. and we'll get back to you with a free, no-obligation quote.